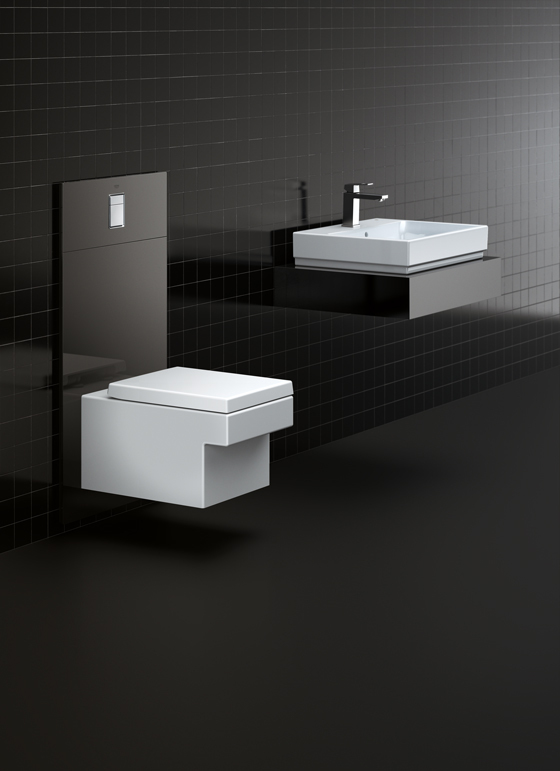 The German sanitary fittings manufacturer GROHE knows how hard it can be to create a consistently harmonious bathroom. 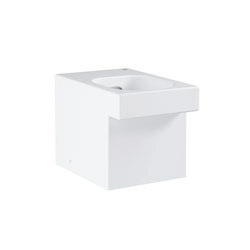 It has found the ideal solution in the new GROHE Ceramics series, which is perfectly coordinated with the company's own fittings. The bathroom ought to be a place of calm – a zone of tranquility offering an escape from the bustle and stress of everyday life. To achieve a sense of true relaxation, the design of this room should be consistent and balanced, with the various functional elements uniting to create a harmonious whole. 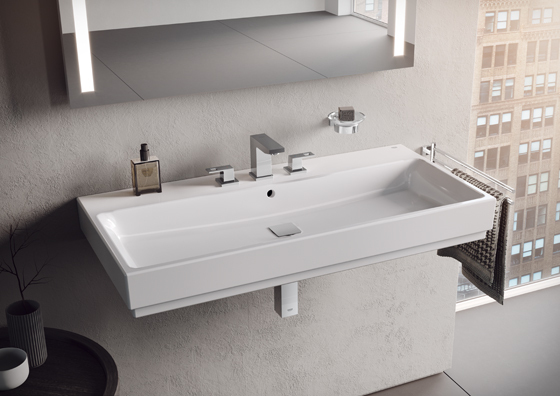 Sanitary manufacturer GROHE has made this process more straightforward by introducing a range of ceramic products that complements its premium faucets, showers and sanitary systems. 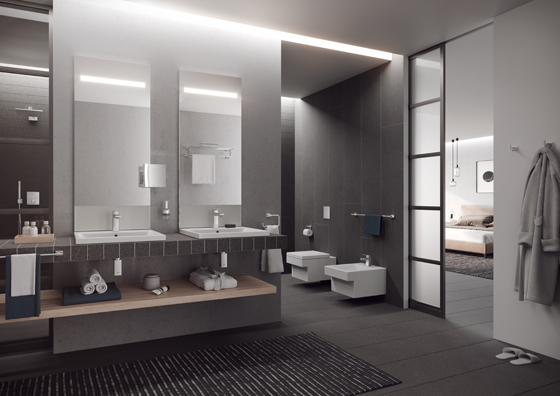 GROHE’s move into ceramic items was prompted by the company’s desire to offer customers a complete bathroom service, which ensures a consistent quality of design and detailing. The strategic decision was aided by the takeover in 2014 of GROHE by Japan’s Lixil Group Corporation – the sanitary ware industry’s global market leader. GROHE is now able to call on decades of experience in sanitary ceramics as it creates products designed for 21st-century living. 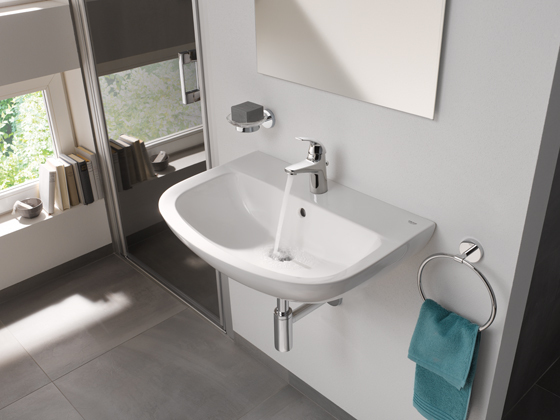 GROHE’s ceramic items are specifically developed to integrate seamlessly with the company’s sanitary fittings, in terms of both design and technology. This ensures that the customer simply has to choose their preferred style, and can then be confident that the products will work together, both visually and functionally. 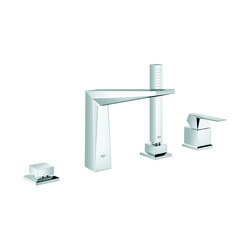 “We wanted to establish a natural relationship between two objects,” GROHE Design Vice President, Michael Seum points out. Detailed tests have been conducted to determine the optimal combinations, with a special focus on facilitating easy installation, preventing splashing during hand washing, and providing the greatest amount of space possible. Three distinct product collections currently offer a range of solutions targeted at different aesthetic tastes and spatial requirements. 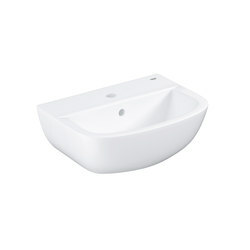 The Bau Ceramic range is a versatile design defined by its soft and rounded forms. 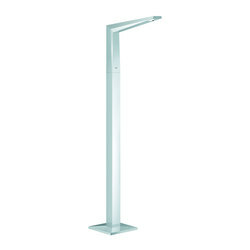 The look is understated yet contemporary, and is therefore suited to use in a wide variety of contexts – particularly in the commercial sector. Hotels, public buildings and housing developments are all examples of projects that benefit from the simple elegance of Bau Ceramic. 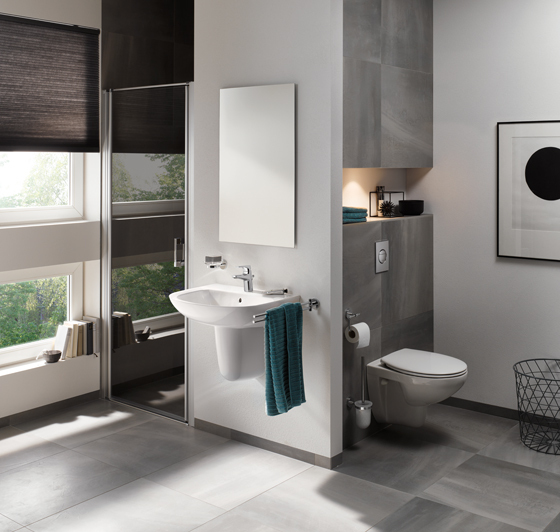 The Euro Ceramic collection provides a practical option for all bathroom scenarios, including rooms where space is tight. 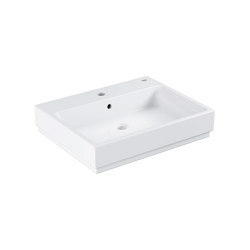 Targeted at a mid-range price point, the streamlined forms of Euro Ceramic exude a calm and considered sense of style. 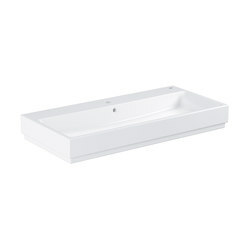 The products are ideally suited to use in family bathrooms, while compact versions of the basins and toilets allow them to slot neatly into small areas. 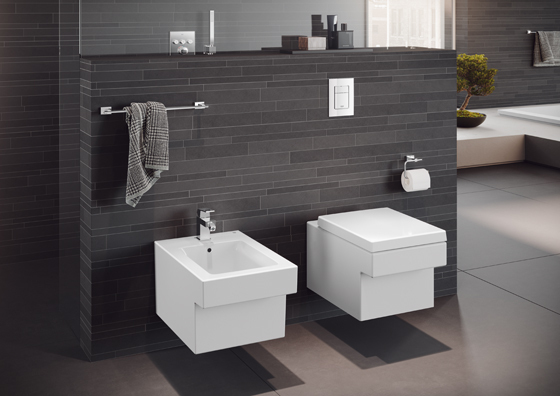 The sophisticated lines of Cube Ceramic suit minimalist schemes inspired by timeless architectural design. 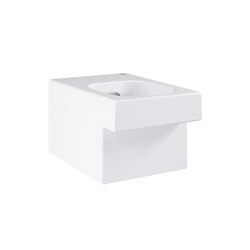 The collection’s crisp, clean lines are modelled on the elegant simplicity of a cube, ensuring the bathroom environment benefits from a sense of order and precision. 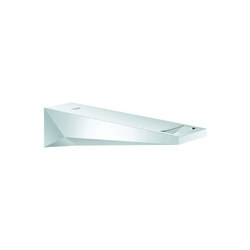 Finally, a collection of acrylic shower trays available in various sizes complements the ceramic ranges and helps to complete the consistent look. 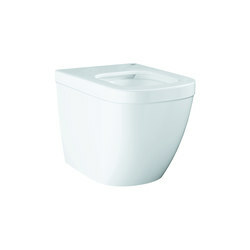 A Triple Vortex flush system provides greater power than other toilet flushes and ensures nothing is left behind. 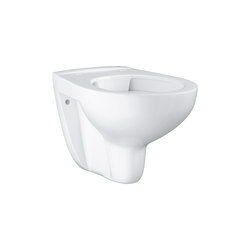 The flush is also quieter and uses less water than its competitors. 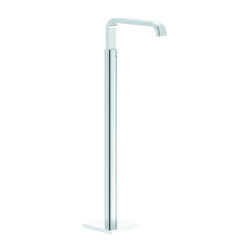 Every GROHE toilet features rimless technology that makes it easier to reach and clean every surface. 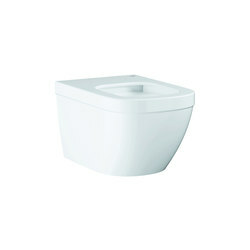 The seat and lid can be specified with or without a soft-closing mechanism, and a special hinge allows the toilet seat to be easily removed for cleaning. 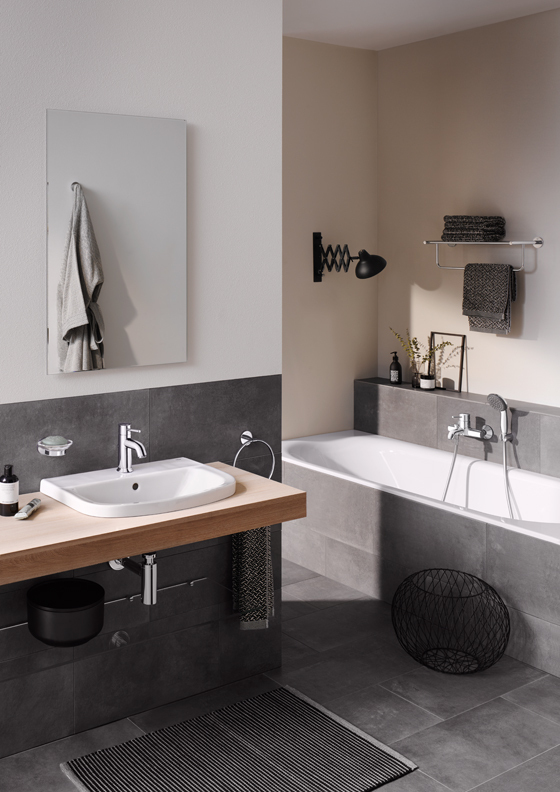 This commitment to ensuring the user experience matches the quality of the design helps to make the GROHE bathroom a more refined and relaxing environment. 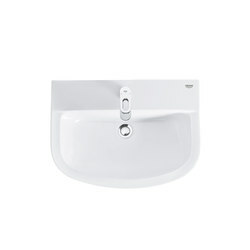 In addition to outstanding design, the GROHE Ceramics range incorporates innovative hygienic technologies. The ceramic itself features a surface treatment called PureGuard that ensures a longer-lasting sparkling finish. 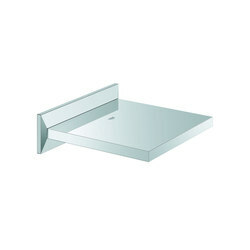 Its anti-drip surface enables water droplets to form and prevent limescale from building up. Anti-bacterial ions in the ceramic surface also mitigate bacteria growth. With so many decisions to make when designing a bathroom, knowing that the faucets, shower, basin and toilet can all be chosen from the same range means there is one less thing to worry about. 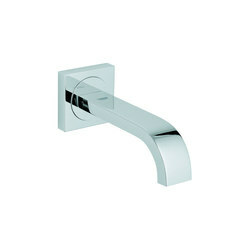 “We believe that a complete bathroom solution is the key to customer satisfaction,” says GROHE CEO, Michael Rauterkus. 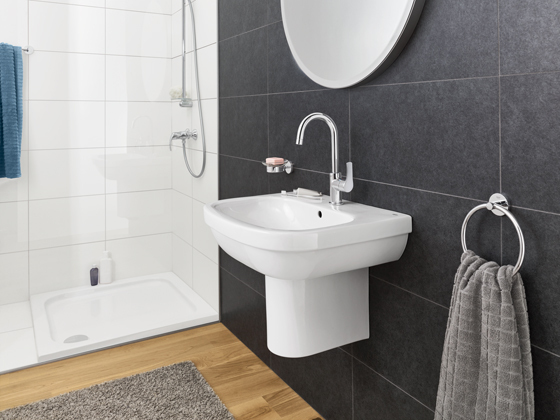 GROHE Ceramic makes that complete solution a reality.